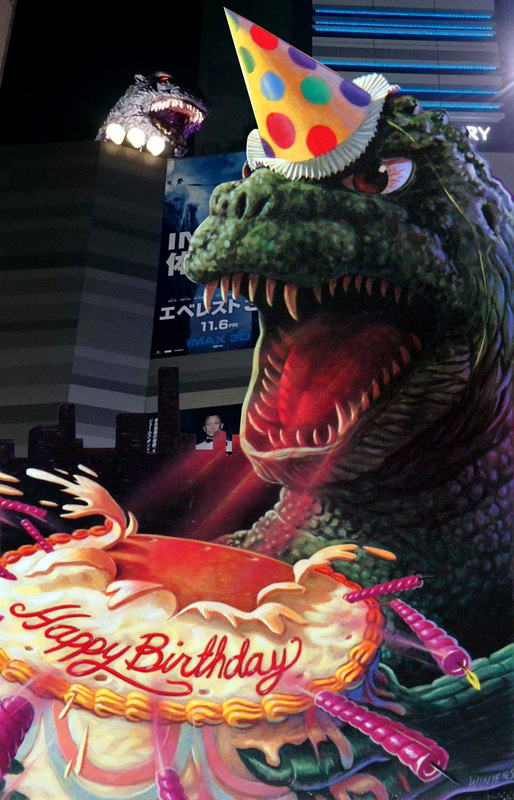 The Kaijucast celebrates Godzilla’s 63rd birthday along with Japan! It’s Godzilla’s birthday today, guys! As such, I thought it would be fun to talk about how Japan is celebrating, something that’s relatively new to the country (seriously!) and something we can obviously get behind. A physical and “permanent” Godzilla shop just opened in Tokyo (Shinjuku, specifically and it opened on Oct 30th! ), which is an incredible opportunity for anyone in or visiting Japan. The country also celebrated Godzilla’s 63rd birthday with a super cool sounding festival. If you’re interested in seeing photos of the festival, here’s a link to the “Godzilla’s birthday” hashtag results on twitter – fun stuff for sure! Don’t forget that the next movie we’ll be talking about is Ultra Q The Movie: Legend From The Stars and we’ll be watching an untranslated copy on Youtube since it’s never been available stateside. Make sure to have your homework turned in before November 24th to be part of the discussion episode!